NZ 001 takes off from Heathrow at 3.50 pm UK time. A very long journey for us but it seems much worse sending a pet that has no idea what's happening. I'm looking forward to hearing that Poppy is safely in New Zealand. meanwhile I keep watch on the flight and track her all the way! Finally, just before 7 am NZ time, Poppy lands in New Zealand. Animals are unloaded as priority and Poppy's private coach from Pet Haven is there to meet her and take her on the 45 minute journey to their facility in the Mangatawhiri Valley where she will stay for 10 days. As soon as she gets back she is given food, fresh water and is allowed out into her private 'room'. 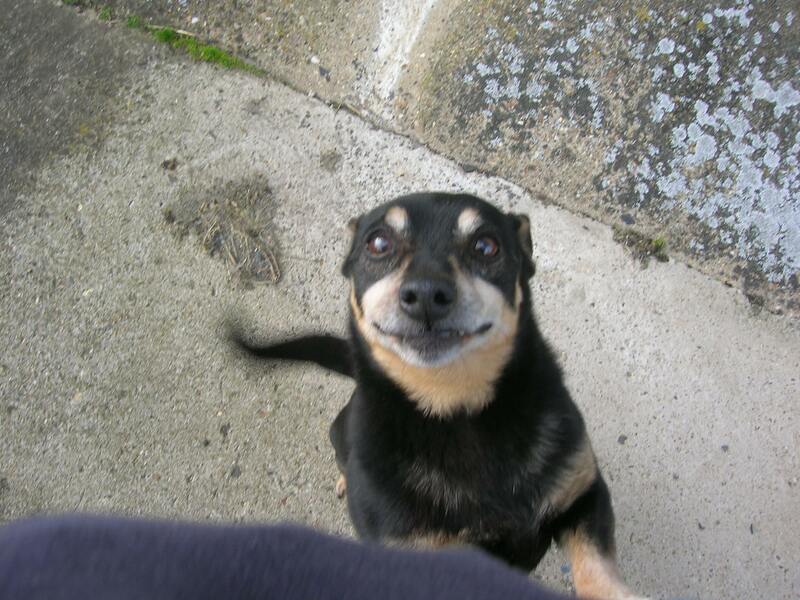 Just after 10 am I receive an email from Robyn at Pet Haven telling me that Poppy is safe if a little 'dumbstruck'. Apparently it is not unusual to be quiet and dazed after the journey. Two hours later Robyn sends me pictures (see above) of Poppy's arrival. She is now more comfortable out of the traveling crate and has been given the bed and toy that I sent together with one of my jumpers that I left when I visited Pet Haven a couple of weeks ago. An update from Pet Haven to tell me that Poppy is eating well and seems more settled today. Just a few days now before I can bring her home to start a new life in Middle Earth. Lots of new experiences to come.